Camping is fun. Having a canine companion is fun. But unless you’ve taken your best friend on a camping adventure, you don’t know what real fun is. Most dogs love to be out in nature, and you should give them this gift on a regular basis. Before you do, however, you should know how to make sure they stay safe and happy. Here are some tips. Humans are more likely to be accosted by bugs out in the deep woods – and so are dogs. Before you take your dog on a camping adventure, make sure it’s are up-to-date on all pest-control medications. If you have a very young dog or puppy, make sure it’s up to date on all necessary vaccinations. For all dogs, flea and tick meds are a must. As with humans, ticks can cause long-term health problems for dogs. 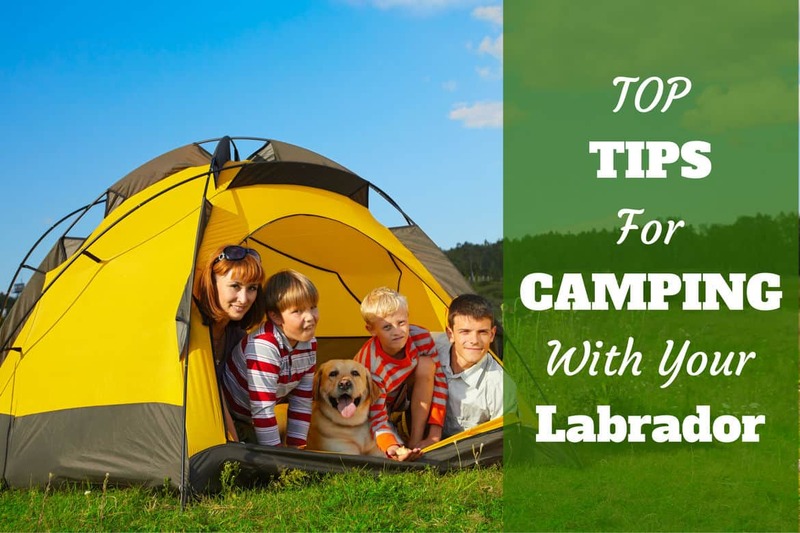 There are plenty of reasons you may want to keep your dog on a leash during most of your camping trip. You may encounter other campers, hikers, or wild animals that you want to keep your dog away from. It is the great outdoors, however, and leashes can be a bit restricting. One good option is to bring a stake and tether. This will keep your dog secure but also give them much more room to roam around. You wouldn’t go camping without bringing a first aid kid for yourself, so don’t forget about your dog. There is some overlap between what’s needed in a human first aid kit and what’s needed in a dog’s – but there are some specific items you should remember for the dog kit. Here’s a great article on how to make your own dog first aid kit. On hot days, dogs can get severely overheated. Without a place to cool off, this can be dangerous. Make sure your dog always has access to water – especially if you’re hiking and expending a lot of energy. There are plenty of portable dog canteens that make it easy for dogs to drink on the go. Try to camp in a place where there is shade nearby, so your dog (and you, for that matter) can take a break from the sun whenever you want. Finally, if your dog is short-haired, fair-skinned, or has a light coat, remember to pack sunscreen. Dogs can get sunburnt too! You’re not going to be alone in the woods. In fact, you’ll be surrounded by animals and your dog will be curious. It’s unlikely you’ll run into a bear, wolf, or mountain lion (it happens, but it’s very rare). You will, however, likely run into smaller but still dangerous creatures like raccoons that can do serious damage to your dog (especially if they are smaller). So, what do you do if a raccoon comes at your dog? “You have two choices—come at them like a predator with an object like a bat, or wait for them to simply go away,” advises dog behavioral specialist Beverly Ulbrich. This is where having leash control of your dog really helps. If you can steer your dog away from the animal, it may run away. If not, being loud and running at the animal may scare it off. One trick is to put your dog inside your tent at the first sign that a wild animal is in the vicinity. In the end, it helps to think about what you need on a camping trip. There will be a lot of crossover with that and what your dog needs – pest repellent, first aid, sun protection. You certainly want to make sure you have full control over your dog at all times. Even the best-behaved mutts tend to get a little wild and independent on a camping trip. There are plenty of summer dangers to worry about for yourself and your family, but don’t forget to think about your dog’s safety as well!